Whatever your field or niche, there is a story to be told behind the services and products that your company provides. It is the story that usually stems from the needs of the consumer, or from an innovative or creative new way in which those needs can be met. 2- Storyboard: We come up with the idea/ story and send you for your approval. 3- Illustrations: We do our art magic here and send you to approve it. 4- Voice-over & Music: we send you samples, you select them and we get them done. 5- Animation & Editing: This is where the final magic happens. We sync the narration & music to the animation and deliver you the perfect pitch. ✔Video "Vimeo" & "Youtube" ready to go! If you have any specific requirements, please message us before placing your order. -Do you have the script already? or you want us to create it for you? -Please tell what video duration you're planning to go for? -You will have to just fill out a questionnaire that we will send you and rest of the work will be done by us. Much appreciated. Looking forward to working with you again! Best of luck for the future endeavor. Sorry, i thought you were based in the UK as i filtered the list to only show UK based company as i have a very tight deadline and i will need to speak with you daily to check on progress and quality of work. They were great to work with. Really great communication the whole way through. Took a little longer than originally planned, but they delivered a great video. Would use their service again. Great job, delivery on deadline was a little too tight for comfort but all in all they did well. I am Mehroz, co-founder of VideoExplainers, #1 rated Team on PPH for Explainer Video, Whiteboard Animations Commercials, Advertisements, Whiteboards and TV Show Intros. 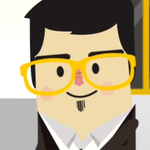 I come highly...Read moreI am Mehroz, co-founder of VideoExplainers, #1 rated Team on PPH for Explainer Video, Whiteboard Animations Commercials, Advertisements, Whiteboards and TV Show Intros. I come highly recommended by my peers and clients and I am humbled and ready to work on your next project. I am not an animator with a cookie cutter approach. My experience enables me to understand the core message of your project whether it be fun, humorous, fresh, corporate, modern and interpret it with intelligence to strikes the right cords with its viewers and thus increase your bottomline. Feels complicated right? well its not if you have me by your side =). I have created more than 5000 videos and millions and millions of views so I assure you high quality result oriented production. I am excited to talk about your next project & what I can do for you. Reasons why you should hire me ? a) One of the most sought after team of storytellers, illustrators and animators combine to work with you on your project. d) High Quality Production at an affordable cost. e) I am your partner in the long run. I believe in creating relationships and hopefully this will be one for the long run. I wont disappear for any future edits so for any future work, I will be more than happy to assist you. *Schedule a meeting (Skype/Phone) to get details about business/competitors and target audience. *Will deliver the Illustrations according to the storyboard. Can't wait to know more about you and your project .I am ready to discuss your next video masterpiece.